Resident Art Budapest is an art service company dedicated to organizing guided ’art tours’ in the heart of Budapest, focusing on the visual arts specifically for tourists, art lovers, and art collectors. Tours are available in English, German, and Hungarian. Our goal is to guide our guests to galleries, antique shops, and artists’ and designers’ studios. Through these tours, we give our guests a glance behind the scenes of the vibrant artistic life of Budapest by giving them a chance to meet art dealers, gallerists, and artists. Our art tours comprise groups of 5 to 8 people for a duration of approximately 3 hours in the center of Budapest. We are also more than happy to meet any individual needs. Private tours can be scheduled by appointment. Our Resident Showroom was founded to showcase contemporary Hungarian artists, with an emphasis on thematic shows by young up-and-coming local Budapest artists. This Showroom is the destination of our tours, where guests can take a break and have a look around. 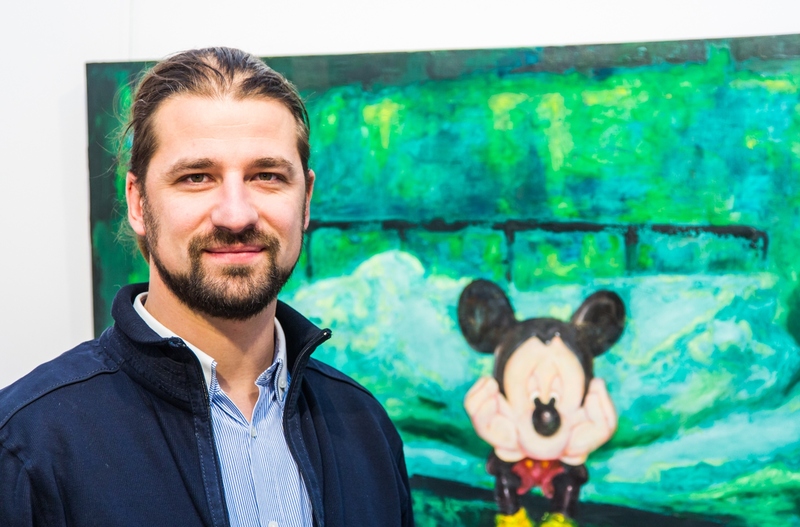 I am János Schneller, an art historian, art dealer and appraiser, the founder and owner of Resident Art Budapest. Applying my years of experience in the Budapest art market and the contemporary visual arts world to my knowledge of my hometown and its arts scene, I have painstakingly mapped the routes of these art tours and chosen the artists presented in our Resident Showroom. The last decade has been a turning point in the Budapest art world. It has also been the time during which I’ve gained most of my experience working with some of the most established, as well as some of the most promising up-and-coming art galleries, art collectors, artists, and art appraisers, with whose help and cooperation I have created Resident Art Budapest art service company. We started our company with the goal of making the Hungarian visual arts more accessible to an international audience. Our novel approach consists of presenting our clients with a broad perspective of the local art scene by way of our art-historian guided tours through some of the most prominent Budapest galleries and antique shops. Aside from presenting galleries and artworks, we also organize tours to artists’ studios and provide art dealer services based on individual needs. My goal is to employ our expertise in the service of illuminating the endevors of contemporary Hungarian artists by increasing their accessibility to an international audience. Our purpose is to act as a networking medium between these artists and galleries as well as international collectors and art lovers.